If you are looking for an experienced injury lawyer in Silver Spring, MD, you’ve come to the right place. Shulman Rogers offers professional representation in personal injury cases. We help clients get the settlements they need for a stress-free recovery, whether it’s from an auto accident, dog bite, medical malpractice incident or negligence. Offering dedicated service for the Silver Spring area, our team includes lawyers specializing in both civilian and FTCA claims. In court and at the negotiating table, we will work hard to make sure your interests are protected during this difficult time. How Can You Protect Yourself After An Accident? As the victim of an accident, you have the right to seek fair compensation for any financial or emotional damage incurred as a result of someone else’s negligence. However, the decisions you make in the immediate aftermath of the incident will play a major role in determining your ability to do so. Before accepting any settlement from an insurance company or third party, you should first speak with the lawyers at Shulman Rogers. We will give you a clearer picture of your rights and options for moving forward in a manner that protects you and your family from any long-term financial consequences. 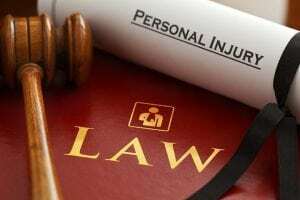 Should You Sue for Personal Injury Damages in? You have accumulated significant medical bills or other expenses during your recovery. Your accident led to a long-term disability that has affected your ability to provide for yourself. Your accident required an extended hospital stay, resulting in lost wages. You are suffering from depression, anxiety or other psychological problems as a result of post-traumatic stress. An accident has caused the wrongful death of a spouse or other immediate family member. You wish to draw attention to unsafe working conditions, medical malpractice or other ongoing problems that are putting more people at risk. In any of these cases, Shulman Rogers may be able to help. To discuss your options with one of our legal professionals, give our office a call to schedule your free consultation today. While our primary goal is always to get you the best settlement possible, we never do so if the risks don’t clearly outweigh the rewards. Drawing from our more than 40 years of legal experience, we know when a case isn’t worth it, and we will not pressure you into pursuing matters if we don’t feel it’s in your best interest. Every step of the way, we will provide honest, transparent communication and remain accessible at all times. When you need a personal injury lawyer in Silver Spring, MD or throughout the D.C. Metro area, go with the team that goes the extra mile for you. Contact Shulman Rogers and get started today.